EDMONTON - After a bruising 2013, Alberta Premier Alison Redford reaches the midpoint of her mandate in 2014 facing an emerging political question. Supporters hail her as the ultimate big-tent Progressive Conservative premier, the world stateswoman with the liberal heart to run up big debt to build schools, but conservative enough to clamp down on public sector salaries and keep taxes low. Critics say 2013 revealed Redford as an eel-slippery manipulator launched into power by a progressive coalition of liberals, unionists and students whom she then abandoned for a new role as business shill and oilsands-industry glove puppet. Redford, in a year-end interview, said judge her not by labels, but by results. "What we tried to do as best as we could was to stick to the plan that we have, which maybe on a day-to-day basis people might feel doesn't reflect what they voted for in the last election," said Redford. "I'm really confident that as we get to the next election (in 2016), people will be able to see the whole, and they will see that we did what we promised we would do. "The tough thing for anyone in life — and certainly for any government — is to keep the long-term view." Laying the groundwork for the long term in 2013 proved difficult when it began with a broken promise. The balanced budget and no debt promised by Redford in her sweeping election win of 2012 turned into a budget deficit and a plan to reverse former premier Ralph Klein's debt-free legacy by racking up $17 billion in red ink over the next four years to pay for infrastructure in a province growing by 100,000 newcomers a year. Redford blamed the "Bitumen Bubble" — the discounted price Alberta was getting for its oilsands crude compared with the North American benchmark West Texas Intermediate. "People can say, 'You should have known, you should have known.' Nobody knew," said Redford. She lobbied and travelled afar in 2013 to beat the drum for new pipelines to British Columbia, Texas, and New Brunswick to reduce reliance on U.S. markets, the bottleneck responsible for the bubble. But critics said the bubble has always been around, traditionally rising and falling. They called it a red herring for a broken promise. Liberal Leader Raj Sherman coined his own term: "Bitumen B.S." Redford was elected on the strength of her support for education and for social programs. In the election she promised to further fund post-secondary schools. But in the March budget she cut seven per cent of the operating budgets for the schools. Some of that money was replaced months later, after the schools had made their cuts. Progress has been slow on her promise to build 50 new schools and modernize 70 more by 2016 in an overheated economy where workers are scarce. Redford has started simply announcing the new schools without details of when or how they will be built. Seniors and advocates for the disabled have marched on the legislature to criticize amalgamation and privatization changes that have led to reduced services and cases such as Violet MacDonald, who died this year after being left untreated for bedsores for so long, her skin blackened and decayed. Under Redford, the government has a "kids first" policy, but a series of Postmedia stories in November highlighted a foster-care system so secretive that parents whose children die in government care can't even speak about their lost loved ones by name in public. She has promised open and accountable government, but in 2013 legislation was introduced with little to no notice and rammed through the legislature with scant debate in late-night, or even all-night, sessions. Earlier this year, a judge found the Environment Department had been running a shadow policy to blackball some oilsands critics from development application hearings. Redford is trying to fix things. She set up pilot family-care clinics with plans to expand the service to free up space in overcrowded emergency wards. A roundtable meeting in January will look at the foster system. There has been progress on roads, including a landmark ring road deal in Calgary and continuing work to twin the dangerous highway to Fort McMurray. When floods ravaged Calgary and southern Alberta in June, Redford was on the ground immediately, promising $1 billion in aid and following up with legislation in the fall to mitigate the effects of any future such disasters. On the labour front, in early December her government announced, debated and passed in less than a week a law to deprive its largest public sector union, the Alberta Union of Provincial Employees, of its right to binding arbitration. The bill imposed a four-year wage restraint deal on the union, including wage freezes in the first two years, unless the union negotiates a new deal by the end of January. A companion piece of legislation delivers crippling fines if its members even speak about fighting back with an illegal strike. Unions call it the ultimate betrayal by a premier who, if she doesn't like the rules, simply rewrites them to suit her purpose. 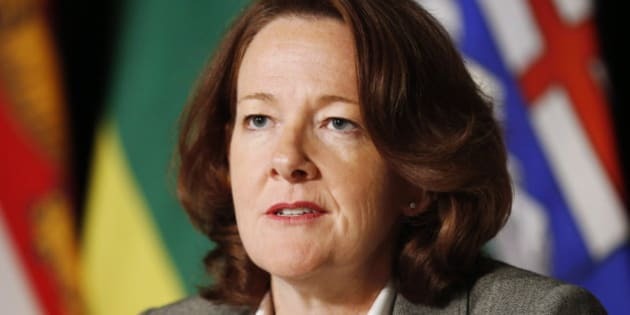 "The coalition that elected Alison Redford less than two years ago is dead," Gil McGowan of the Alberta Federation of Labour said after the legislation passed. He said unions voted for Redford in 2012 to keep the rightist Wildrose party from power, but "will not be fooled again." Wildrose Leader Danielle Smith said the events of 2013 reveal that Redford's political soul is a moving target. "This is to me what her definition of being pragmatic means — it's sort of whatever way the wind blows, make a decision at a particular time because it will appeal to a particular voter group, then change 180 degrees when it seems pragmatic to do it," said Smith. "I believe people are looking for principled politicians. They want to know what your world view is and your basic principles and what you go back to when you're confronted with a new issue. "Somebody asked me what I think is going to happen (with Redford) next year. I say, 'who knows?'"